Hop up your rig with these custom rim decal. Available for the entire Arc rim range (24mm - 45mm) as well as Aeffect SL, R and Plus. 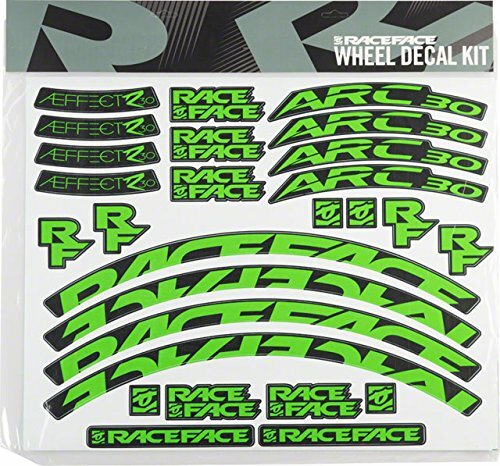 Each set comes with enough decals to do a complete wheelset (2 wheels). Now your bike can be as pro as your riding kit! Full set of decals for a wheelset(2 wheels). If you have any questions about this product by RaceFace, contact us by completing and submitting the form below. If you are looking for a specif part number, please include it with your message.